Excellent Condition, Non-Smoker Vehicle, Low Miles 25,885! 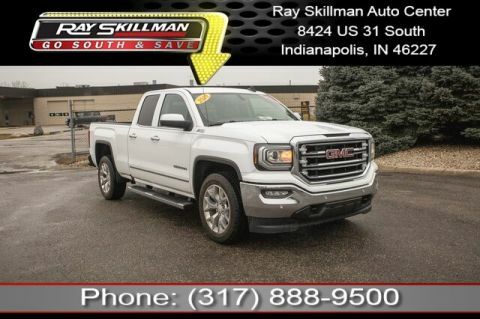 This amazing 2017 GMC Sierra 1500 SLT comes fully equipped with tremendous features such as: SLT Trim. 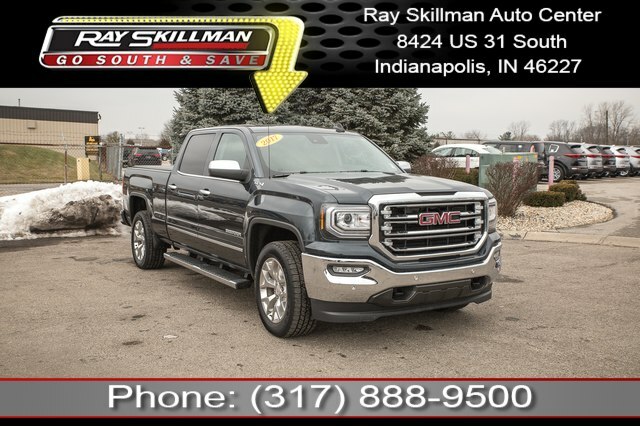 MP3- USB / i-Pod Capability, USB Adapter, WiFi Hotspot, SiriusXM Satellite Radio, Navigation GPS NAV System, Power Moonroof / Sunroof, Rearvision / Backup Camera, Heated & Cooled Leather Seats, Trailering Tow Package, and More! 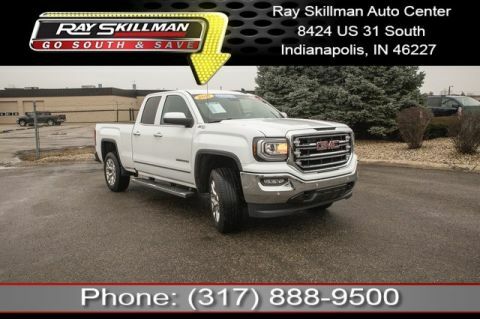 Price Drop From $44,988! Odometer is 14948 miles below market average! ENGINE, 6.2L ECOTEC3 V8 WITH ACTIVE FUEL MANAGEMENT, DIRECT INJECTION and Variable Valve Timing, includes aluminum block construction, (420 hp [313 kW] @ 5600 rpm, 460 lb-ft of torque [624 Nm] @ 4100 rpm), SLT PREMIUM PACKAGE includes (UQA) Bose premium audio system and (RD5) 20' x 9' polished aluminum wheels With Crew Cab model includes (BVQ) 6' rectangular chrome tubular assist steps. With Double Cab model includes (VXH) 6' rectangular chrome tubular assist steps. 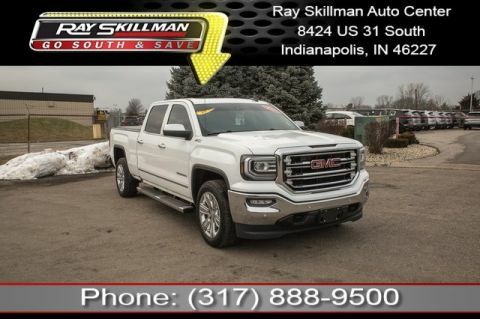 ), SUNROOF, POWER, ENHANCED DRIVER ALERT PACKAGE includes (UHX) Lane Keep Assist, (TQ5) IntelliBeam headlamps, (UHY) Low Speed Collision Mitigation Braking, (UD5) Front and Rear Park Assist and (UEU) Forward Collision Alert, Safety Alert Seat, ASSIST STEPS, CHROMED TUBULAR, 6' RECTANGULAR, SEATING, HEATED AND VENTILATED PERFORATED LEATHER-APPOINTED FRONT BUCKET, SEATS, FRONT FULL-FEATURE LEATHER-APPOINTED BUCKET with (KA1) heated seat cushions and seat backs. Includes 10-way power driver and front passenger seat adjusters, including 2-way power lumbar control, 2-position driver memory, adjustable head restraints, (D07) floor console and storage pockets. (Includes (K4C) wireless charging.